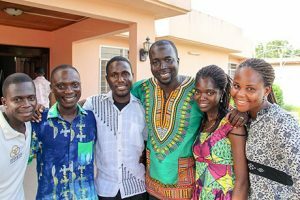 Ghana (MNN) — One Way Ministries (OWM) is affecting missions. A recent trip to Ghana saw the debut of the Livingstone School of Missions. A team of three Americans met with 23 local believers for the program. The intent is to help young people who are excited about missions operate effectively in Ghana. After bookwork came fieldwork. 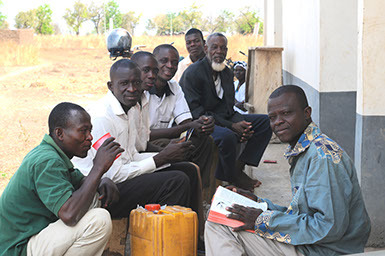 “We took a 17-hour bus ride up into the remote villages of Northern Ghana and did some outreach among the Kumba people who are a very receptive but unreached people group there in Northern Ghana,” Beckman said. The Kumba people “are primarily idol worshippers, but they’re very open to the Gospel, so you can go up there and talk about Jesus very openly in the schools and in the villages,” Beckman says. When OWM’s Africa Director Ray Mesah met with villages, each was interested in clean water and schools, but it was only the Kumba people who wanted churches. “They actually have witnessed the changes that can happen in communities due to the fact that people are Christians and follow Jesus, so they really wanted churches.” OWM has worked with them for four years, and now they want to reach neighboring tribes. Pray for local believers working in Ghana with the nearby tribes. 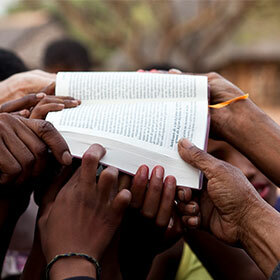 Ask God to inspire more believers to minister to nations around the world. Thank Him for the Livingstone School of Ministry and the work that was accomplished.